PC (Personal computer) - one of the most popular home platforms and the only one which doesn’t offer playing video games as its main purpose. PC was born in the 1970s, but it is impossible to give an exact moment of its birth or even a name of its creator. However, IBM is the one who gave computers their present shape, using, at the beginning of the 1980s, an idea of open architecture – which is today one of the most important differences between computers and consoles. The foundations of PC as a gaming platform are currently systems of digital distribution of video games (Steam, Origin, Uplay) and MMO games that mostly work in f2p (free-to-play) model. 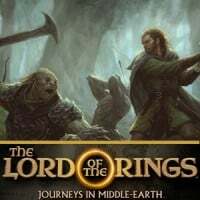 An electronic adaptation of a board game set in the heroic universe of Middle-earth, known from J.R.R. Tolkien's novel and films directed by Peter Jackson. Fantasy Flight Games, a company specializing in similar productions, is responsible for the creation and release of this title. Guitar Hero III: Legends of Rock is already the third (and first on PC) part of the famous series of music games, which previously triumphed only on consoles. 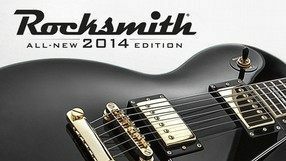 Thanks to Aspyr Media, which has prepared the conversion to computers, now users of metal sheets can also try their hand at clashing with the guitar and other rock songs. A simple arcade and logic game about Princess Genevieve, who travels through magical lands in search of medicine for her father. The production is based on animated film and is aimed at younger audiences. While having fun we visit six fairy-tale lands, running and jumping with a character. A special curiosity are the dance systems, which allow to solve many problems. Saddle Club: Adventures in the saddle is a family game prepared by Tate Interactive studio addressed to young horse and horse riding enthusiasts. The title is based on a popular series and books by Bonnie Bryant. Players follow the adventures of the main characters - Stevie Lake, Carole Hanson and Lisy Artwood. The game consists mainly of exploring the terrain, performing simple tasks, taking care of animals and participating in equestrian tournaments. Woody Woodpecker: Escape from Buzz Buzzard Park is a game designed mainly for younger audiences. We play the role of Woody Woodpecker's bird, a well-known hero of animated films, and set out to look for relatives kidnapped and imprisoned in a funfair by the evil Buzz. Barbie of Swan Lake: The Enchanted Forest is another adventure game with the world's most popular doll in the lead role. A family MMO game addressed to teenagers aged 9-16, in which we deal with the upbringing and training of our own horse. While crossing the area of the charming island of Jorvik, we carry out fictional tasks, discovering other fascinating secrets before us. We must also take care of our own stud farm and the basic needs of our animals, such as food, drink and rest. Barbie Beauty Boutique is a program addressed mainly to young women who love to play with Barbie - the most popular doll in the world. Disney Princess: Enchanted Journey is an item prepared primarily for the youngest owners of gaming devices. It allows every girl's dreams to come true - it gives a chance to meet Disney princesses. In the palette of implemented characters there are the following virgins: Cinderella, Jasmine, Snow White, Bella, Ariel and Aurora. Barbie as The Princess and the Pauper is another family adventure game, prepared for the youngest users of gaming devices who love to play with Barbie - the most popular doll in the world. The next installment in the popular series of dancing games developed by Ubisoft. The series allows the player to feel like the professional pop dancers who accompany the greatest stars on the top scenes of the world. 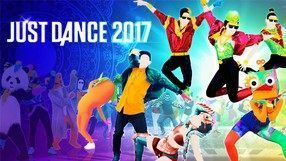 In Just Dance 2017 the basic gameplay mechanics remained unchanged in comparison to the previous entries in the franchise. During the game the player must repeat the movements of the dancers displayed on the screen and the system (which, depending on the gaming platform employs different controls) will grade performance and technique. The game, as usually, is filled with licensed hits of such performers as Queen, Shakira, will.i.am, David Guetta, Sia, Justin Bieber and PSY. It is worth mentioning that Just Dance 2017 is the first installment of the series that was released also on personal computers. A unique online cooperative game based in part on the assumptions of the popular fashion Garry's Mod. 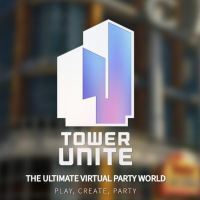 The title allows players to communicate and have fun together in various mini-games, offering many other activities, as well as the ability to import their own 3D models and build virtual worlds. We help Barbie, Chelsea and Madison to successfully organize twelve events, while taking care of the fashionable look of the main characters. Interactive graphic program for children with Pokemons in the lead role. It allows younger players to create nice pictures of Nintendo's pets. With the help of a simple interface they design tattoos, stickers, postcards, stationery, banners and many other useful things. A music game belonging to the popular Guitar Hero series. Allows you to become a guitarist, drummer or vocalist of the band. A separate controller has been prepared for each of these roles. Another novelty is the ability to create your own works and modify others' works. An original logic game developed by the independent studio Vile Monarch. The players take part in insult duels in various environments and against a variety of different characters — we can even engage in verbal fencing with a cranky old lady, fake Russian, or a hipster. Available insults that we select from a long list can be combined into spectacular combos. Our activities on the unusual battlefield are watched over a special point-awarding system, and the highest award can also be acquired after creating a critical insult. In Oh...Sir!! 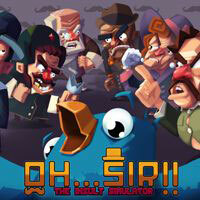 The Insult Simulator, we can play both solo and against other players — the multiplayer mode allows us to play over the Internet or on a split-screen. The game features simple graphics, fully voiced dialogues, and a unique humor that brings Monty Python's Flying Circus to mind. Computer Gratka - Super Collection! Part 1 is a collection of five educational programs dedicated to the youngest users of personal computers. The package includes the following titles: African Spells, How to Forge Smog, Sacral Heart, Adventure in the Mountains and Mysteries of Borsuka Castle. The official virtual version of the famous TV show, treating about searching for talented vocalists from hundreds of thousands of volunteers. Kittens (Catz) are virtual pets that live on your computer. Kittens jump on your desktop, play in their favourite playgrounds, travel, sightsee and play in the places you create for them. A production that allows you to test your strength in popular tabletop games, or create your own, using an extensive editor. 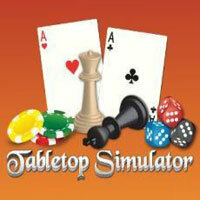 Although Tabletop Simulator uses virtual reality sets, it does not require them to work. 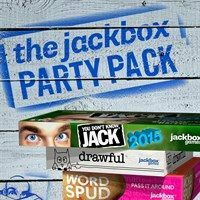 The Jackbox Party Pack is a compilation of 5 simple social mini-games. They focus on checking the reflex and perceptiveness of players. Jackbox Games studio is responsible for productions and game release. A game for horse riding fans, in which apart from different breeds of horses we also ride zebras and unicorns. We travel through European forest tracts and vast American steppes, among others. Family game. We play the role of a teenage girl and take care of our own horse, at the same time solving the problems of the title Academy of Horse Riding. An arcade social game, based on the license of a French quiz show that has the same title. 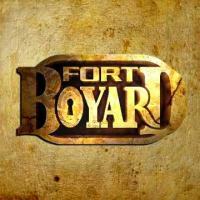 In Fort Boyard: The Game, gamers play the role of the participants of the show and have to perform various tasks in the titular stronghold, with the aim of gaining access to the vault. An original co-op logic game developed by an independent studio Steel Crate Games. One player assumes the role of a person who needs to defuse a bomb, while other players have to tell him how to do it. The ticking clock and the fact that each bomb is generated randomly make the title even more difficult. The person tasked with defusing has to supply the other players with detailed information which will enable them to identify the type of the bomb they are currently dealing with. 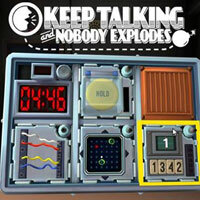 Due to the nature of Keep Talking and Nobody Explodes, you will need only one copy of the game and the bomb defusal manual, which can be found at http://www.bombmanual.com/, to play with friends. The title features simple and transparent graphics as well as optional support of VR devices, which are, however, not required to play the game.